If you have not read Pale Fire, do not read this post. You can read it here. When reading Vladimir Nabakov's Pale Fire, we frequently encounter references to Shakespeare's play Timon of Athens. The only book the commentator Kinbote has at hand is a Zemblan translation of the play; the poet Shade consciously (and explicitly) took the title for his poem from one of the play's lines in Act IV Scene 3 (and accordingly Nabakov's book is also sourced thereof); and Kinbote on occasion will speak of such things as his "Timonian cabin." It seems to me there are several levels of meaning behind this connnection of the two works - a series of meanings that parallel the series of meanings within Nabakov's book. I must confess that I had never read Timon of Athens before reading Pale Fire. I'm not too ashamed by this, since it's one of the lesser-known works and I have gotten some of the Bard under my belt in my day. But I had to read it after reading Nabakov, and I'm glad I did. I won't say that Pale Fire is anything like a roman à clef; when you read the play, you don't suddenly realize that Kinbote is Timon or anything so simple. Instead, it seems as though Nabakov went to pains to construct his elaborate puzzles in the same sort of pattern as can be found in Shakespeare's work. 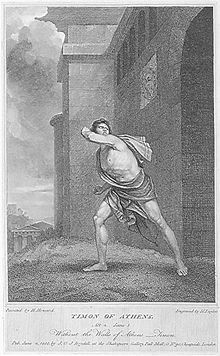 Timon of Athens is (briefly) the story of a wealthy philanthropist, who happily and freely pays the debts of his friends and sponsors the work of merchants. At length Timon beggars himself, but comes up empty when he seeks aid from his fair-weather friends. He is embittered and retreats to a cave by the sea after giving for his "friends" a mock-feast of warm water and rocks. Fleeing then to his cave, he discovers a cask of gold. In his new misanthropy, he bestows it on a rebel general (so as to wreak destruction on his former city) and some prostitutes (to spread disease) and to some of his former artist friends (in honor of their honest villainy). During this time, he also engages in a lengthy insult contest with a veteran misanthrope who accuses Timon of imitation, and praises his former steward, the one honest man he knows. Finally, Timon dies, deep in his bitterness, while the rogue general takes possession of the city and prepares to decimate it. Timon of Athens has some problems. There are some very clear and serious errors in the known copies of the text, even at some of the most important points. For example, in the First Folio text, Timon's self-composed epitaph seeks refuge in anonymity to generalize his sorrows, but then on the next line names himself and claims his problems as his own. Later editors such as those of the Arden 3 solved this problem and others for the ease of the reader, but it has led to long suspicions over authorship (did someone else perhaps finish the play?) especially in light of the frequent and abrupt shifts between prose and poetry in the play. There are also some spelling shifts and strange artifacts, but it has been convincingly argued that these are more due to the typesetting than any change in author (Folio Compositor B gave way to E partway through), and so they're irrelevant. 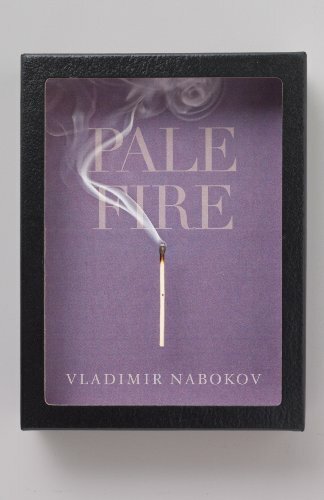 So what is the relevance of the play to Nabakov's Pale Fire? Well, first of all and in keeping with the construction of Nabakov's work, there's a shallow and obvious meaning. Kinbote is Timon in a clear way, having lavished his good governance on his country and been repaid by being driven into exile, then again betrayed when his dear and close friendship with Shade is savaged in the wake of the poet's death and the cruel dogs of academia and the evil Sybil Shade all try to conspire against him. He must flee to what even he calls a "Timonian cabin," huddled in the wilderness and embittered at the world's vicious treatment of a virtuous man. But let us consider more deeply. What is the biggest and most abiding problem of Pale Fire - a problem that has been argued since its publication with only a middling consensus achieved? It's the question of authorship! This is a different question than we see in Timon of Athens, of course: no one questions that Vladimir Nabakov wrote the book Pale Fire we can hold in our hands. But between the covers, we are driven in delightful circles as we try to work out who the real narrator is. Kinbote? The king/Kinbote? Shade? Botkin? I've spoken of the magic of this labyrinthine puzzle before, and come to a judgment on the matter - a judgment since reinforced by noticing the final paragraph of commentary shifts remarkably in tone and approach, and points to an extemporaneous Botkin - but it is still a puzzle nonetheless, a puzzle in descending levels. And this would seem a reference to the long-disputed question of who wrote what parts of Timon of Athens: William Shakespeare or some later and lesser poet or both in their own turn? So I think these are two very clear connections between the play and the book, on both a shallow and much deeper level. But they are also deeply connected by themes, all up and down the line. 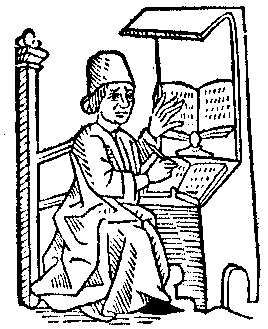 For example, we are almost shoved into looking up the sourcing of the poem's title: Kinbote bemoans his lack of a library and directs the reader to examine the possible Shakespearean source, while actually giving us a garbled version of the actual passage from the play, begging us to examine the real English original. And what do we find in that passage but the misanthropic Timon facing off with bandits, and supplying them with spiteful gold and cursing them for being men even as he shows them examples of nature's theft to call their villainy natural: how the moon is stealing her pale fire from the bright sun, and so on. It's all about theft: Nabakov is hinting (or reminding, if you're re-reading the book) about how Kinbote has stolen Shade's poem and fled with it. There are many other examples, and I am sure there are far more connections than I have found between Timon of Athens and Pale Fire. The role of women seems to be another one that could bear serious thought, for example. This is a treasure mine still worth exploring.